In a fantasy kingdom, men, elves and dwarves have lived peacefully together for generations. But their carefree way of life has long been a source of envy among the creatures of darkness. After decades of preparation, an army of orcs, goblins and trolls have launched an invasion, and are threatening to bring ruin to the once peaceful world. The game allows players to create their own cities in a vibrant world with beautiful graphics. The first challenge is to produce resources and work on building up their settlement. To withstand the dark powers, players can build up an army, conquer enemy outposts and fight epic battles. Playing together in alliances and navigating complex diplomatic possibilities demand strategic skill, while regular events and new content ensure lasting enjoyment. Shadow Kings has been developed by the makers of Empire: Four Kingdoms, the mobile version of Goodgame Empire. Since its release last year, the medieval strategy hit from Goodgame Studios has consistently featured among the top ten highest-grossing mobile apps in many markets. Optimal usability and touchscreen navigation was a key focus in the development of Shadow Kings. 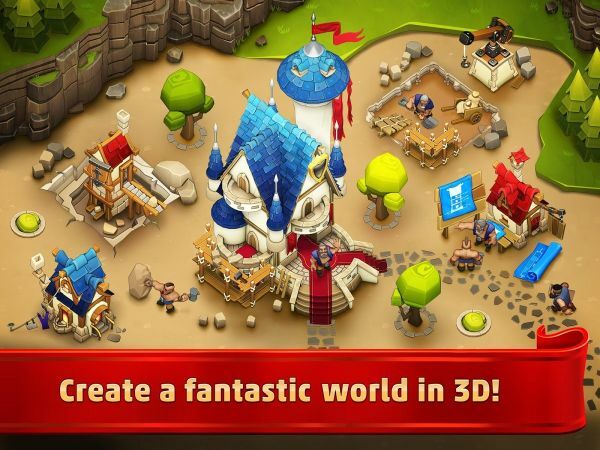 Both mobile and browser versions are set in the vibrant game world with animated inhabitants and buildings in 3D, with smooth performance and popular community features. Although the versions for mobile and browser are closely related, they are not identical, and accounts will not be transferable between the two versions. But regardless of whether on browser, tablet or smartphone, Shadow Kings offers an engaging and long-lasting gaming experience in a friendly and humorous world.